01. click one of the bookseller links. *Audiobook is available on Audible. 02. Copy your receipt # and head back to this page. Order my book, Emotionally Trumped Out, And Get Four Audio Meditations Free! It doesn’t matter what side you’re on — we are all being emotionally affected by what is happening with the Trump presidency, the media's coverage of it and the way we are each responding to it. Unfortunately, many of us are fighting against each other, instead of facing these issues together. Often projecting our fear, anger, anxiety or upset onto each other, creating more chaos, hatred and division. 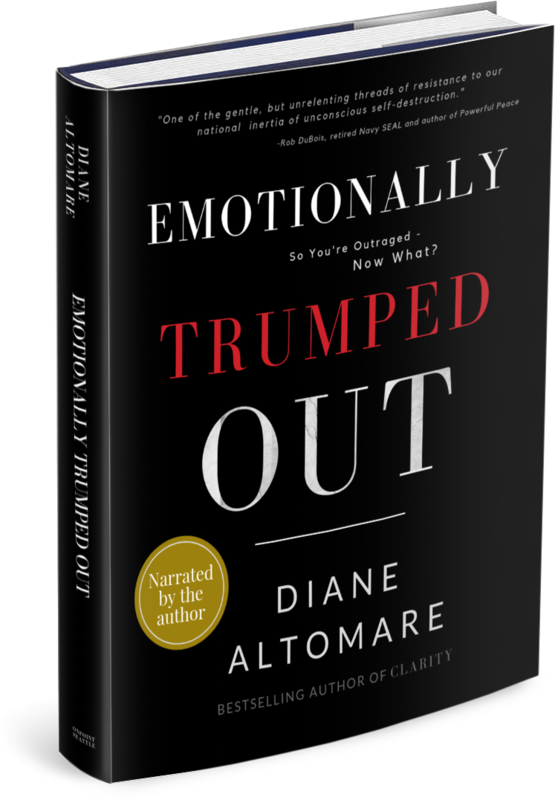 In Emotionally Trumped Out, I will show you exactly what's happening on a psychological level and why this may be the very insight, wisdom and understanding you are craving, at a deep soul level. And most significantly, exactly what you can do to transcend the outrage, anxiety, fear or upset you may be feeling. 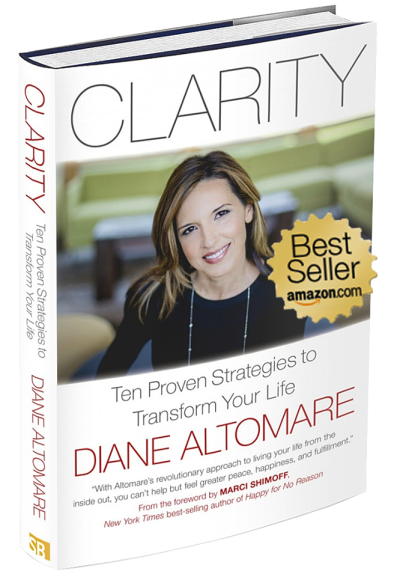 After just a few pages, you will immediately feel more empowered, hopeful and at peace. Four powerful audio meditations... each calming and transformative as Diane guides you to transcend the intensity of your anger, anxiety, fear or upset and transform the energy of these emotions into hope, peace and inspired action. Each audio meditation is between four and six minutes long and is a powerful, graceful way to let go of the emotional upset or emotional exhaustion you may be feeling and emerge grounded, relaxed and centered. Exclusive audio meditations only available with book purchase.